Corruption allegations against Azerbaijan in the Parliamentary Assembly of the Council of Europe (PACE) collapsed, Azerbaijani MP and PACE member Elkhan Suleymanov told on April 23. Suleymanov said that the Independent External Investigation Body (IBAC) looking into allegations of corruption in PACE presented its report to the Bureau of the Assembly in Strasbourg. The Investigation Body has not found any fact concerning the allegations of corruption against Azerbaijan and consequently concluded that the requirements of neutrality in the work of PACE MPs, in particular the rapporteurs concerning the activities of PACE on Azerbaijan, have not been breached, according to Suleymanov. "For the last two years pumped-up headlines in Western European media, created by certain circles, in particular Soros-financed NGOs and media groups, spreading and supporting false allegations against Azerbaijan have paralyzed the normal activities of PACE. Whilst during recent years the already not good international reputation of the PACE was severely damaged by these repeated non-serious explanations, it becomes clear now that allegations eventually were groundless, false, and biased," he said. 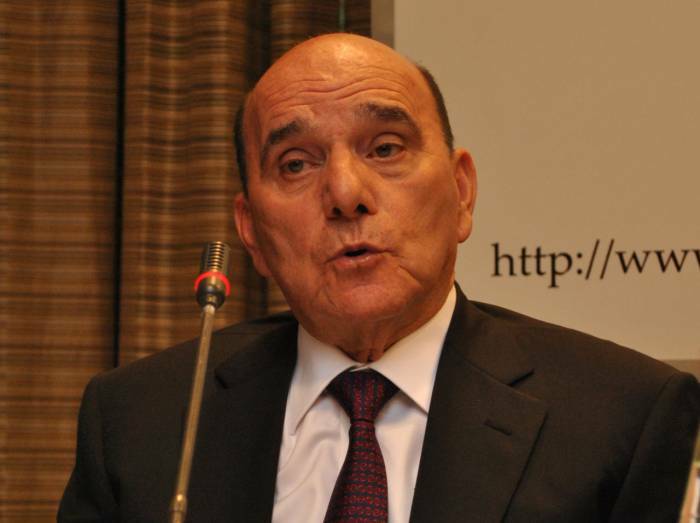 The Investigation Body, according to him, confirmed that all PACE reports on Azerbaijan since 2008, including all election observation mission reports and the 2013 Strasser report on “political prisoners”, which became the discussion point for power centers and anti-Azerbaijan forces who were not willing to admit defeat, were adopted without the neutrality of MPs being affected, thus all these reports and their political contents remaining fully valid. "In its report, the Investigation Body initially just repeated previous allegations by some biased NGOs, but it was not able, after thorough investigation, to provide any solid fact and proof. They were, of course, not able to deliver what cannot be delivered, but what was on the other hand highly expected by the enemies of Azerbaijan," the MP said. Suleymanov further voiced regret that the IBAC focused entirely on Azerbaijan, while similar allegations against six other member states were treated by IBAC in total on one page only, out of the 200-page report. This report does not serve objectivity and neutrality, he added. "Finally, this superfluous show aiming at damaging Azerbaijan’s image in international arena resulted in a waste of 200,000 Euro taxpayer money, being the cost of this investigation, at a moment when PACE is suffering from serious budgetary problems," he noted. Suleymanov said that instead of attempting to intimidate Azerbaijan with slanders, PACE should deal with to address important challenges at a moment when Europe is suffering from huge problems such as migration, common security and budgetary issues.